Dr. Don Zeidlhack (pronounced “Zide-lock”) is a licensed psychologist and counselor in Naperville with a doctorate in clinical psychology. 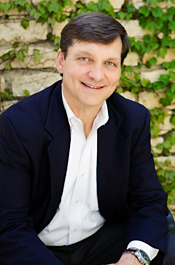 His practice is focused on helping families, couples, individuals, and adolescents. Dr. Zeidlhack’s goal with every client is to build a collaborative relationship that respects his / her individuality and values. His insight and demeanor are traits his clients both appreciate and respect. Dr. Zeidlhack’s background and clinical experience includes: residential treatment centers for children and adolescents, a mental health center, the inpatient unit of a hospital and working with incarcerated adolescents. Dr. Zeidlhack has also provided outpatient substance abuse counseling to adults and adolescents. He is currently in private practice in Naperville. He participates in continuing education from experts in the field and has trained and supervised other therapists. Outside of work Dr. Zeidlhack is a husband, father and loyal friend. In his spare time he enjoys playing tennis, traveling and when possible flying a plane and scuba diving.